Weird Things » Blog Archive » Behold! The T-Rex Of Leeches! Behold! The T-Rex Of Leeches! What has sharp teeth, is the size of a pinkie finger and slides up the noses of Peruvians? Tyrannobdella rex! The Tyrant Leech King! 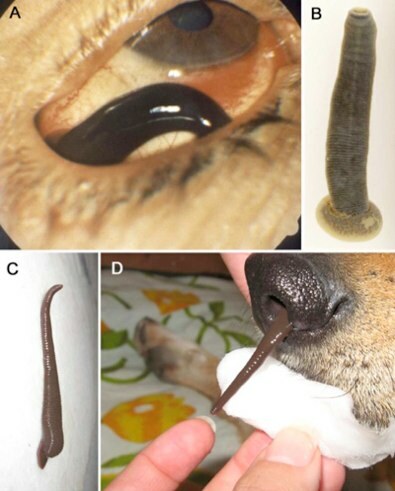 The beast has teeth five-times larger than other leeches and has most recently been found in the noses of recent swimmers in the Amazon river.